It is best to look for a diamond with a slightly thin, medium to thick girdle.There are mainly three types of girdles - faceted, bruited and polished girdles. While it doesn't affect the price of a diamond, we recommend buying a diamond with a polished or faceted girdle. Girdle is defined as the edge of a diamond that is the widest part of any diamond. It is formed during the process of edging or cutting of a diamond and holds great deal of importance for diamond cutters. Since girdle is the widest part of any diamond hence the width of any diamond is measured by measuring its girdle. It is measured length-wise as 100%. A girdle can be a guideline towards excellence of a cut and therefore quality of any diamond. Most diamonds have two divisions - crown and pavilion, and girdle is the meeting point or a joint of these two limbs of a diamond. There are three main types of girdles; faceted, bruited and polished girdles. A faceted girdle means that there are rows or waves of small polished sides around the diamond. A brutes diamond girdle means that there is just one row of unpolished exterior. A polished girdle is of course a polished smooth one, as obvious from its name. Interestingly, these types of girdles in a diamond do not directly influence its value, unlike cut, color, clarity and carat. Each of these scales have their significance in the evaluation process of a diamond and this makes sense due to the fact that the above mentioned scale can affect the symmetry and hence the proportions of a diamond. Medium girdle would be a perfect girdle you may want to have. An extremely thin girdle is always at a risk of being chipped. 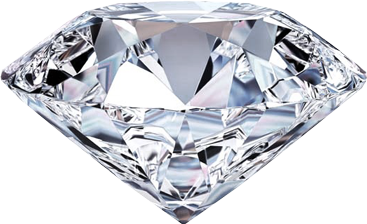 On the other hand an extremely thick girdle in a diamond is not good because it may enhance the carat weight of a diamond without expanding its outlook. Hence a medium girdle is an ideal one.